How would a museum know if it is successful? How would it measure success? The Mission Statement of the Metropolitan Museum of Art (“The Met”), founded on April 13, 1870, and the largest museum in the US, states, “to be located in the City of New York, for the purpose of establishing and maintaining in said city a Museum and library of art, of encouraging and developing the study of the fine arts, and the application of arts to manufacture and practical life, of advancing the general knowledge of kindred subjects, and, to that end, of furnishing popular instruction”. .
Daniel Weiss, president and chief operating officer of The Met, believes museums must remain relevant to a contemporary audience while upholding a mission to preserve human culture for posterity. In an interview with Yale Insights, Weiss articulated the challenges of steering America’s largest art institution, “We have to change with the times but not so much so that we lose our way … if no one is interested in our programs, then they are not meaningful programs.” . Part of the challenge managing a cultural legacy like The Met is its non-profit structure. From its 2016 Annual Report , philanthropic contributions have endowed the museum with about $2.5 billion. The building is owned by the City of New York (NYC), but the collections are owned by a private corporation, totalling about 950 persons. The City approved a pay-what-you-wish  admissions’ fee back in 1970 ($25 per visitor is recommended but a penny would comply with the City’s policy) which contributed only about 13% of 2016 revenue. However, The Met’s operating budget is about $250 million per year. Its use of performance metrics (measuring overall attendance, the number of museum members, the marketability of exhibits, the percentage of the collection on display, the ratio of adult to child admissions, etc.) are not used to plan for an increase in ROI; instead, they are used to measure its kinds of connections with the public. “Museums create social values, for which they are not compensated in monetary terms.” . The Met is deeply integrated within the life of New York City, its donors, and the art world. It plays a substantial role in New Yorkers’ leisure activities and is one of NYC’s most important tourist attractions. As visitors have a strong effect on local economies, especially in touristic locations, The Met monitors the number who visit. Significant amounts of money are spent by visitors when visiting the Met, both in terms of entry fees and expenditures in museum restaurants and shops, along with other revenue-generating activities, i.e., The Met’s famous annual gala and other swanky parties. .
Today, public engagement is one of The Met’s core functions. In his Yale Insights’ interview, according to Weiss, “No new programs, formats, or technologies are off the table as long as the Met continues to protect, preserve, and collect the best art while making it available to scholars and the public, … the rest of it is negotiable.” . Although The Met has not yet applied conventional social media metrics to measure annual revenue to identify new marketing opportunities to increase such, a well-known scholar and social media data analyst, Marshall Sponder, did such a social metrics study. Sponder presented the beginnings of his research using geosocial data and other web analytics for non-profit arts organizations at the Social & Digital Analytics Innovations Summit on November 6, 2014, “Merging GeoSocial Data and Web Analytics to Identify New Marketing Opportunities at the Metropolitan Museum of Art”. . Sponder’s case study acts as an ideal example to illustrate how applying social media metrics supports my position that by better understanding affinities of people – to better understand what they want when they interact with art, The Met could consistently and reliably increase iterative future revenue streams. But first, what are social media metrics? A useful summary (see Dominique Jackson’s post, All of the Social Media Metrics That Matter ) include: Facebook analytics, Twitter analytics and listening report, Instagram analytics and management, LinkedIn company pages report, social media analytics dashboard, as well as forums and message boards, review and opinion sites, bookmarking, media sharing, and more (industry pundits always mention David Berkowitz’s list of 100 metrics ). A useful definition could be distilled to: social media metrics are data and statistics that give insights into social media marketing performance. While some social media marketing metrics are universal, there are also platform specific metrics that need to be included. Plus, some data is calculated differently depending on the platform and social media metrics tools being used. The data derived from social media metrics has a purpose: it should address three business goals : 1) raise revenue – a brand perceived as trustworthy and valuable becomes a welcomed partner in social media, which leads to more turnover; 2) lower costs – social media can demonstrate it is a less expensive way to get to know public opinion, to make “friends” and to create an influence sphere; 3) increase customer satisfaction – a satisfied customer leads to new customers, buys more, and becomes a part of the organization’s marketing and sales team by word-of-mouth and peer recommendations. 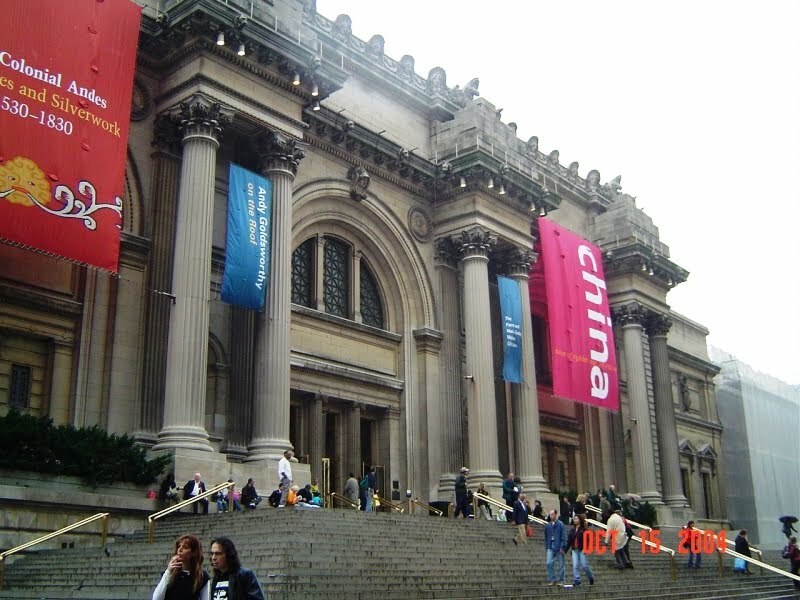 However, The Met is a non-profit, not a standard business organization required to run in the black to survive, but it does have a responsibility to raise revenue, lower costs, and increase visitor satisfaction, with a particular emphasis through education. Marshall Sponder (a full-time lecturer at Baruch College, Associate Professor at Rutgers University, and CEO of WebMetricsGuru Inc., and an avid long-term visitor to The Met), wanted to look at ways The Met could better engage its visitors and raise revenues while doing so. Sponder applied many social media metrics of publically available data accessible to anyone in his 11-month case study. Throughout, one can observe the metrics he included: his results were based on using nodes (i.e, Twitter users) and directional and uni-directional edges (the connections between them, such as retweets). He talked about degree centrality (i.e., in-degree [who is mentioned a lot] and out-degree [who posts a lot] density). He downloaded Tweets from Twitter’s analytics’ page, tracked metrics for keywords and hashtags from posts on Facebook and Instagram, too, using Microsoft’s social engagement (social listening) tool, tracked mentions in Met forums and blogs, extracting valuable account data, and used pivot tables to display the results – the sum of data over the 11-month period. Sponder also added geolocation using Geofeedia for basic network mapping. A long-term Met employee helped Sponder determine the key engagement metrics Sponder wanted to analyze through the employee’s observations of what people did at The Met over time. Sponder’s research questions included what Twitter accounts mention The Met the most; how often does each mention The Met, and what communities are talking about The Met, amongst others. Sponder analyzed Met engagement by Tweet category, identifying common themes, including humorous tweets, tweets that ask a question, promotional tweets, etc. Sponder’s case study could provide The Met with a chance to visualize a social network and see how different visitors relate to one another around a specific Met experience on Twitter or Instagram, say. By Sponder exploring visitors’ conversations on these channels, The Met could see, not only who was talking about them, but who was talking about The Met the most, and which Art, or location, like the Temple of Dendur or the Rooftop Bar, were talked about most often, too. In a deeper look at Sponder’s case study, salient points show how he effectively measured for specific audiences in The Met who would show a high score on the Big 5 “Openness” Attitude scale . Sponder was looking to determine individuals more likely to be receptive to particular marketing messages and offers from a brand/artist/non-profit. Also, at least 50 Selfies a day were taken at The Met during the study; therefore, 400 Selfies per week (x 52) equals over 21,000 per year to analyze. This metric, called “Selfies with Art,” was useful in combination with the “openness” measurement to examine Selfie Behaviour in terms of Personality and Choice of Art. Sponder had 3 objectives: 1) increase In-Person Engagement and Membership at The Met using geosocial data and web analytics; 2) access the Online Presence of non-profit arts organizations of The Met; and 3) discover and amplify stories that drive audiences to attend. Sponder’s insight was it’s not the Art itself that has the most value, it’s all about how the audience engages with the remnants of the past. The “real art” in the museum in Sponder’s view is “discovered” and comes alive when the audience interacts with it, and with each other. © Retrieved from Gucci Fashion Trends 2016, "Who Wore What"on May 4, 2015. How often did Sponder’s visitors come to The Met? Of the 56,139 visits captured in Geofeedia, only 265 visited more than 5 times during the year, and most of the top 50 visitors were tour guides, museum employees, or Met philanthropic partners. Some statistical breakdowns: one visit = 86%; 2 – 5 visits = 14%; 6 – 10 visits < 1%; 11 – 20 visits = < 1%; 21+ visits = < 1%. Using Geofeedia, Sponder was able to identify individuals who were at The Met at specific times and intervals, as well as what they looked at and liked. As a result, his research had a much cleaner dataset than previous research using Twitter or Facebook. For example, “2museumhack” was at the museum at least 63 distinct days over the 11-month period. In terms of real audience, The Met had about 5,400,000 actual visitors during this 11-month period. The above could be extrapolated to represent 4,600,000 one-time visitors (tourists, school tours); “Real Audience to go after”: 2 – 5 visits = 725,000; 6 – 10 visits = 17,600 Regulars Possibly Members; 11 – 20 visits = 6,700 Regulars Possibly Members; and 20+ visits = employees, tour guides and partners. With the help of a Met staff member, Sponder identified 16 persistent “stories” that happen at The Met. To name the most representative ones and their estimated Story Volume: 1) the Temple of Dendur: family interconnection, swanky parties, fashion shows – 2634 captures or 2%; 2) the Rooftop Bar: feeling more comfortable in intellectual environments – 25,975 captures or 24%, and Met on Friday/Saturday night dating – 2772 or 3% 3) More Cafés: cafés are driving more visitors to the interior of The Met – 2281 captures or 2%; 4) Rembrandt/Van Gogh name recognition: popular icons – 29,144 or 27%; 5) Children’s Access: school-based obligatory visits – for wide reaching to youngsters in the classroom//tactile play with coins in the fountain – 4400 or 4%; 6) Greek Wing: mocking phalluses – 4100 or 4%; 7) The Outside Stairs: where “Gossip Girl – XOXO” was filmed – 3861 or 3%; 8) Foreign Visitation: how many visitors from foreign countries – 11,900 or 11%; and 9) Selfie Behaviour: next to art/in bathrooms – 4400 or 4%. The channels detected via Geofeedia included Accounts Captured and Verbatim Captured and included Geofeedia, Twitter, Instagram, Flickr, Picasa, and YouTube. Sponder’s interesting observations: 1) the Temple of Dendur metrics (location-based without the keyword “Dendur” has 6x the verbatim; therefore, Keyword Search is limiting! ): Friday is the most active day, and 4pm the most active time of day for this location; 2) Rooftop Bar metrics: Friday is the most popular day, and 3 – 7pm is the most popular posting times in social media; 3) visits to the Greek/Roman wing peaks at 3pm; 4) the psychographics of Frequent Met attendees – Twitter Affinities via @Statsocial: 75% Female; most are from NYC; they are 9x more likely to like art history; they are 5x more likely to pursue fabric and design arts; they are 3x more likely to have travelled to France; 10% read one of The Met’s new hipster blogs; they like Perrier; they are not into “Technology, Politics, or Sports”; and are 2 – 12x more likely to make <$50,000. 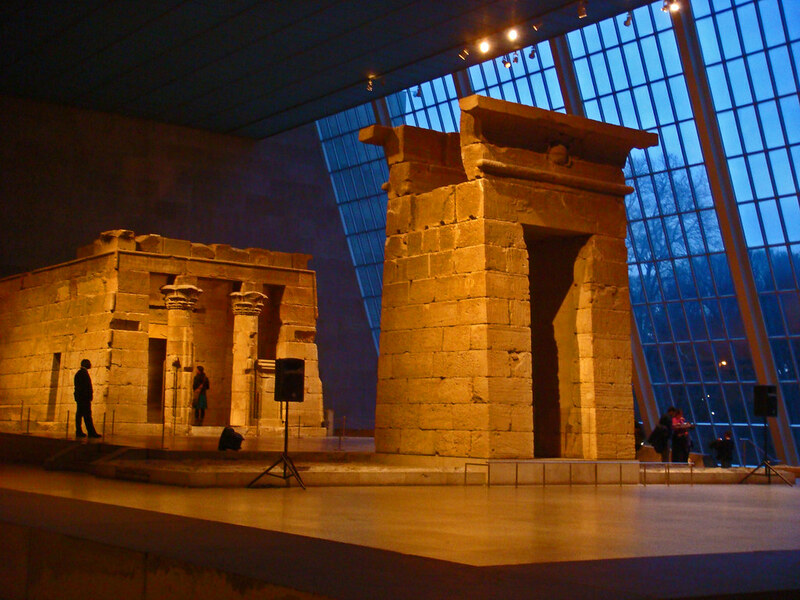 have regular music events taking place at 4 – 6pm in the Temple of Dendur to invite people to witness the outside light then. Sponder recommends The Met use their APP to help with this. The Rooftop Café Bar is so popular, add a bubble to it from October to April to extend its use. Cafés drive more people deeper into the museum and takes lots of “foodie” shots: The Met could consider partnering with a celebrity chef to create a special Met drink or meal; or, have a frozen version to take home with a picture of a piece of art, so when the people are at home eating the special item and looking at the piece of art, they can imagine being at The Met; or, sell the recipe with a picture of a piece of art. Since Selfies are so popular, invite visitors to “friend” a work of Art and post to #hashtag: the most popular “friend” gets a free gift from The Met’s store. The Met has done a lot to make itself more accessible to children. But it could create online courses (as the Museum of Modern Art did) to help keep The Met in the child’s mind when they can’t come. It’s a great place to date! Maybe advertise with a dating site. Inscribe a step to “Gossip Girl – XOXO”, where people could take photos on the dedicated step. Create a step inscription trend with other popular events filming at The Met. Bathroom Selfies are popular, so add a frame on the mirror to frame the Selfie, or add a picture in the bathroom for the Selfie’s background enhancement. 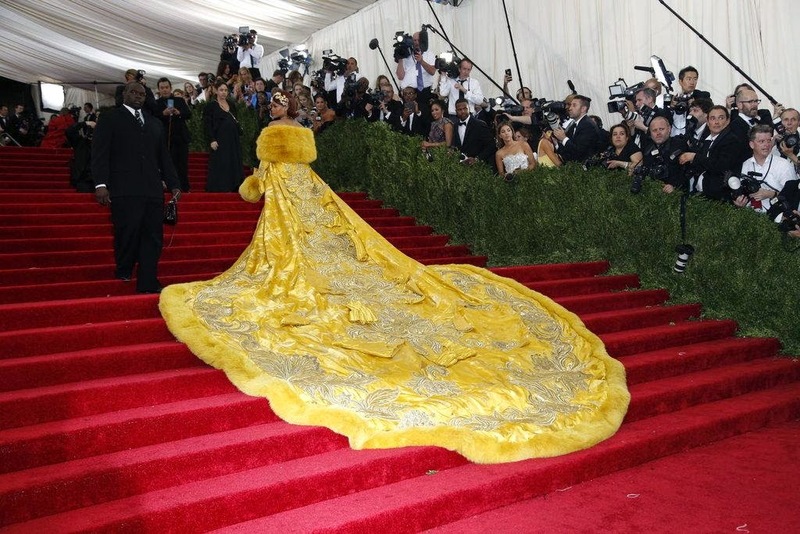 Study the Brand Affinities of frequent attendees to better understand the programming and events (like the wildly popular Metropolitan Museum of Art’s red carpet May 1st 2017 Costume Institute Benefit) that would be effective in driving more engagement. Possibly, build “look-alike audiences” based on the Twitter and Instagram frequent attendees captured in Sponder’s Geofeedia data. Add iBeacon to enhance The Met APP and wire the museum with iBeacons to create programming that can interact with the APP and engage the visitor. Install Presence Analytics over The Met’s WiFi to connect virtual and physical visitor identity. Offer coupons and other real-time offers to Met APP users as they transverse the museum. Run games, and various hunts like Pokémon Go  that better engage users as well as help them learn more about the Art. Social media is here. It’s not going away; it’s not a passing fad. Business and institutions must be where their customers are: in social media. It’s about becoming more relatable to the client-base, and social media metrics are germane to doing so. As an educator, it is The Met’s responsibility to identify ways to make technology serve it and to create a more digitally enhanced learning experience for its visitors. “People ask me: What is your biggest competition?,” says Sree Sreenivasan, the Met’s chief digital officer. “Is it MoMA? Guggenheim? Our competition is Netflix. Candy Crush. It’s life in 2016”. Sreenivasan believes staying competitive requires a multipronged approach, “…in addition to mobile apps and a website that serves millions of visitors across many devices, the Met’s two-person social media team must strategically channel their limited energy into platforms like Facebook, Twitter, Pinterest, Instagram, and SoundCloud”. .
Kathy Sharpless of the Isabella Stewart Gardner Museum echoed Sreenivasan’s comments when she was interviewed about the millenial influx (after determining the new social media buzz on Instagram caused a 50% surge of visitors over two days were Pokémon Go players in search of virtual characters hidden in the galleries), “The Boston museum is delighted to be included in the craze.” She added a (pragmatic) caveat, “We hope that once inside the museum, visitors will focus on the beauty rather than the game. If the game helps them get here and then they want to relax and enjoy, everyone wins.” . Every business, non-profit or not, has to follow the principles of business. Using social media metrics can help. Should an art museum’s goal then be to simply get more people through the door? Curating and building art collections is expensive and requires support, not only from philanthropic endowments, but also from public visitor attendance. My answer is, “Yes.” A non-profit has budgets and running an annual deficit (which The Met is doing) has already created tensions between the museum’s executive and its stakeholders. . The Met has a responsibility to contribute in every way possible to increase revenue to off-set NYC’s taxpayers’ burden. Social media metrics data are numbers but the numbers are a means to tell stories about people. We have to remind ourselves that the point of big data is to enhance the global human experience. In her TED Talk, “How we can find ourselves in data”, , Giorgia Lupa uses data to tell human stories, adding nuance to numbers. “The experiences that I shared… taught me to make data faithfully representative of our human nature… . We need to start designing ways to include empathy, imperfection and human qualities in how we collect, process, analyze and display data. I see a place where, ultimately, instead of using data only to become more efficient, we will all use data to become more humane”. Jacobsen, J. (2016). Measuring museum impact and performance theory and practice. Lanham, MD: Rowan * Littlefield (p.1).